SAMANTHA RONSON has begged ex-partner LINDSAY LOHAN to get help in an emotional phone call between the pair. 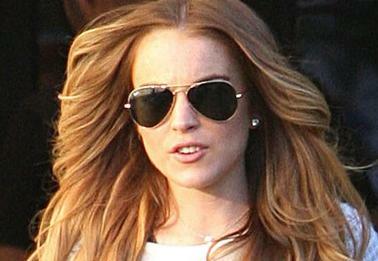 Hollywood wild child Lindsay, 22, has spent the week in meltdown after splitting with her lesbian lover last weekend. She has been hitting the clubs of Los Angeles hunting for her ex. Her erratic behaviour has concerned her friends and family, with many thinking she needs to return to rehab for a fourth time. But according to pals, concerned Sam, 31, has now contacted Lindsay again and encouraged her heartbroken ex to control her wild ways. Lindsay dyed her hair red, got a new tattoo, and stormed around Hollywood’s top nightspots last week as she struggled to cope with the break-up. But with Sam out of the city this weekend Lindsay seems to have calmed down – possibly a result of encouraging words from Sam.